Davin (@DavindeK) has been analysing, writing, and talking about whisky, as an independent commentator, for more than a dozen years. Davin has provided commentaries and tasting notes in Scotch Whisky Review, Whisky Magazine, Whisky Advocate Magazine, various lifestyle magazines, or many places on the web including MaltManiacs.net. In April 2011, Davin was appointed Canadian Contributing Editor to Whisky Magazine. Davin contributed a chapter about Canadian whisky for Dave Broom’s (@davebroomwhisky) latest book, The World Atlas of Whisky, released in October 2010, as well as writing all 45 Canadian whisky entries in Dominic Roskrow’s (@WhiskyTasting) new book, 1001 Whiskies You Must Taste Before You Die and followed this by writing the chapter about Canadian whisky in Dominic Roskrow’s latest book – The Whiskey Opus. 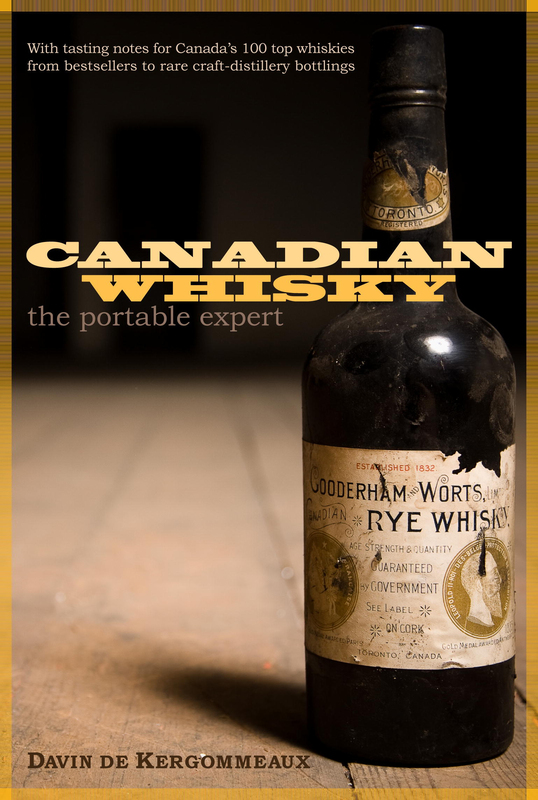 Davin’s own book (the rather excellent), Canadian Whisky: The Portable Expert was published by McClelland & Stewart in May 2012. This book is available world-wide. In February 2013 it was named one of the three best spirits books in the world at the Gourmand Awards in Paris, this is quite some achievement as books from 171 countries competed. Hi Davin, thank you so much for agreeing to this interview, it’s both a pleasure and an honour to interview you, so here goes…. I already know a lot about you, but for people out there who maybe don’t know you yet, would you tell me a little about yourself and what started your whisky journey? I grew up with whisky and knew those beguiling aromas from childhood for almost two decades before ever tasting it. As a young boy once said, “It reminds me of uncles.” In the years that followed, whisky travels, purely for research purposes I assure you, have taken me all over Scotland and the British Isles, Europe, Japan, India, Taiwan, the U.S. as well as coast to coast across Canada. More on that subject a little later. Given my background in all things whisky, I am often asked to judge at international whisky competitions, including the World Whisky Awards. Since 2003, I have served as a judge for the annual Malt Maniacs Awards. These are long-standing and highly respected whisky competitions. 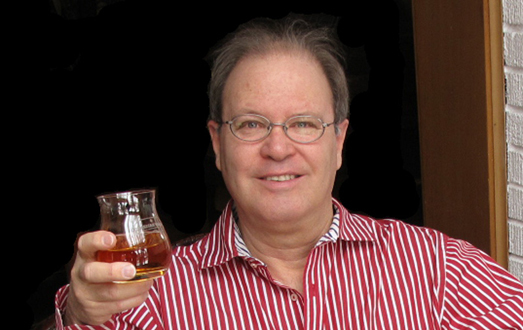 I am also the founder, head judge, and co-ordinator for the Canadian Whisky Awards. But whisky is also about individual taste. This is why I also lead tutored tastings for individuals and groups. It seems people like what they hear since my master classes sell-out well in advance. That’s been the case since 2009 at the Victoria Whisky Festival, in B.C., prompting organizers to bring me back again in 2013 for Whisky 101 and a look at the winners of the 2012 Canadian Whisky Awards. My master classes at many other whisky events right across Canada and into the U.S. have been equally popular. Being from Canada it is important to me that Canadian whiskies get the recognition they deserve, and after a decade and a half of writing mostly about Scotch whisky I still find more Canadian whiskies than Scotch single malts in my liquor cabinet. It’s a sad fact that Canadian whisky doesn’t get its due. I am committed to changing that, using a “kill-rumours-with-facts” approach, and believe me, there are plenty of myths and misunderstandings about Canadian whisky out there. I work hard to help serious whisky fans, wherever they may live, to discover one of Canada’s best-kept secrets: the hidden riches of Canadian whiskies. No-one else has taken on this important task. Yes, many drinks writers dabble in Canadian whisky but I am the only one focused on writing seriously and credibly about Canadian whisky anywhere in the world. As I am not under contract to any Canadian distiller or distributor, I write and comment independently. This also explains why this site you are visiting is still the only non-commercial website dedicated primarily to Canadian whisky. I have to ask, (as I find it so interesting), you are a trained sommelier and yet you work within the whisky field, what was it that prompted you to train first within wine and then again to make the switch to whisky? My first interest was whisky and I like disciplined learning. As there were no really in-depth whisky courses I studied wine, primarily to learn how to analyse flavours and smells. As a sommelier I prepared a wine list for one restaurant then went straight back to whisky. You are a noted and accomplished writer with, not only entries in two of Dominic Roskrow’s books, but also as Canadian Contributing Editor to Whisky Magazine. What was your first “official” piece of writing and what was it that inspired you to write professionally? My first published piece was a pop music article called “The Canadian Scene” in my old high school newspaper, The Sound of the Bell. I write because I enjoy writing and I am very grateful to those who will pay me to do it. I was not so much inspired to write professionally as I was ready to do so when opportunities presented themselves. You’ve released your own book (Canadian Whisky: The Portable Expert), tell us all a bit more about it, why (after writing for others) did you decide to branch out on your own. It must have been a lot of hard work, late nights and stressful deadlines, was it worth it in the end? The book began as a series of binders about various aspects of Canadian whisky, all done for my own interest. It was my daughter who suggested that I was writing a book. Once I had the whole concept together my agent pitched it to a publisher and it became a reality. I love hard work. Yes, I worked 12 and 14-hour days, month after month, and even then I had difficulty tearing myself away from it. This was all new stuff that I had not known before and I was fascinated. The very best part was not holding the final published work in my hands, but sending the first draft to my editor. It was an almost euphoric feeling to have finished it. I worked seven years on that book and yes, it was worth it. Tell us why we should buy it? (Obviously aside from the amazing reviews, insightful and interesting information), and many awards it has won? The book is based largely on original research. So much of what we read about whisky today is just a re-hashing of the same old stories and half-truths. I researched each aspect as if I knew nothing and tried to present it logically. Better yet, the publisher hired a fact checker to make sure I was not just perpetuating time-honoured myths. Most of what we read on the web and much of what we read in magazines and whisky books has not had the very real benefit of peer review, fact checking and professional editing. Lucky for me, my book has, and as a result it avoids a lot of pitfalls. I love the Davin Tweet Tasting and Scavenger hunt that you are holding with Johanne McInnis (@Whiskylassie) and Graham MacKenney (@grahammackenney), whose idea was this and how do you know Johanne and Graham? You use a different method of rating whiskies (Davin uses star’s rather than scores for his own reviews) rather than the traditional “marks out of 100” (which Davin uses for Whisky Advocate and Malt Maniacs reviews), why did you chose to do this and why was it important to you? I think the 100-point scale makes scoring seem much more objective than it is. That is why I like to score each whisky several times, each time in different company, before I put it into one of five (nine really, if you count half stars) bands. We are measuring enjoyment which is far from precise. I also like to leave my emptied glass out overnight so all the alcohol can evaporate and leave just the flavours behind. Nosing the empty glass tells me a lot about the whisky. And if this is something you have never done, I recommend that you try it. (Free connoisseur tip #1!) That said, I use a 100-point scale for my reviews in Whisky Advocate, and on the Malt Maniacs Monitor. As mentioned previously you’ve travelled prolifically on your whisky journey, do you have a favourite place, and if you do what makes it stand out? India and Taiwan stand out, but nothing compares with Ireland. First, I re-discovered the oily glory of pure pot whisky. Second, I met some of the friendliest, chattiest whisky people I have known anywhere. The Irish just love sharing their stories and their drams. I travelled there on an assignment to write a story about Irish pubs. Everywhere I went I was welcomed like family. It helped that they turned off the rain for my week there and I was able to walk and walk and walk. What surprised me was discovering that so many of the brands of Irish whisky we find in bars and stores around the world are not very common in Ireland. Over there you could count on finding Powers, Jameson, and Paddy, and maybe high on a shelf a bottle of Redbreast for a special occasion. Other than that it was mostly stout. Drinking in Ireland is about chatting and being with friends, not sampling the most esoteric dram. This is exactly what whisky should be about everywhere. You have officiated as a judge at many whisky competitions, do you enjoy that aspect of the business? What does it entail? Is it as glamorous and fun as we all may think? Judging is good for keeping your nose tuned and keeping you honest. It can be a humbling experience reporting on whiskies blind. I highly recommend blind tastings as a way to understand whisky better. Judging involves tasting flights of un-named whiskies, assessing the pleasure they bring you, and assigning a score. It can be quite subjective. So we’ve established that you are a writer, editor, international whisky judge and hold tutored tastings. Out of all the different whisky roles, which do you enjoy the most and why? Among professional activities, I prefer writing about whisky. My favourite aspect of whisky, though, is sipping and sharing it with friends. Whisky is a social drink by nature and that’s the meaning of true enjoyment of whisky for me. How do you feel the industry is changing with regards to women in whisky? I’m not sure the industry is changing as much as society is. I think more and more women are warming up to whisky and the industry is quite happy to serve them. And I think the idea of men’s drinks and women’s drinks, in general, is fading. There are some very accomplished women within the industry – a woman runs Irish Distillers and is a vp of Pernod-Ricard – and there is a significant segment of knowledgeable women among the people I meet at whisky events. I think some of today’s ideas about the relationship between women and whisky are a bit naïve. I can really only speak from a North American perspective, but I don’t think the industry has ever been hostile to women. However, that perception seems to inform some of today’s discussions. The idea that whisky is not a women’s drink did not come from the industry. Rather, it came from women’s groups – social clubs, church groups, and originated in the largely women-led temperance movement. Womens’ groups strongly opposed whisky as the root of all evil in society. For at least a century they exercised strong peer pressure on their sisters to avoid whisky entirely, and for the forty years leading up to the 1920’s this was particularly aggressive and nasty. Those words are not too strong. Women who tasted or drank whisky were called prostitutes, fallen women, and home wreckers. And they were shunned. These strong sentiments still persist widely in church groups and women’s social groups in Canada and the US. So I am very encouraged that women seem to have thrown off the yoke of the home-wrecking, whisky drinking harlot. But to some degree, I think we have to acknowledge that it was a self-imposed yoke. Whisky is an enjoyable luxury for all. The industry is a business focused on making money and they’ll accept whatever sales are available to them. Industry recognizes changing cultural values and I think it is no surprise that advertising agencies and marketing departments are heavily staffed with women these days. You have tried many, many whiskies, what is your favourite ever dram? Black Bowmore (@bowmore1779). Hands down. This is a great example of whisky that has been aged until it is ready. The smoke is ever-present, but subdued and the whisky is just loaded with so-called tertiary flavours that come not from the wood or grain, but from long slow chemical interactions in the maturing spirit. The resulting whisky is simply sublime. That said, I think some of today’s bloggers would write it off just on principle. First, it was very heavily coloured with spirit caramel – E150a (that’s how it got so black), and second, it was almost certainly flavoured with paxarette. I once bought a 100ml sample of Black Bowmore to share at a Malt Maniacs tour of Islay. My buddy was to complete the transaction and bring it to Islay for us. En route, he dropped his backpack and of all the samples and bottles inside only one broke – the Black Bowmore. He was so upset that I could not force him to accept the money I owed him for that sample. The backpack, of course, smelled wonderful. Among some of my PLOWED friends, Black Bowmore was once the house malt. Imagine, it used to be that inexpensive. Thank you so much for your time Davin, I really enjoyed our interview. Davin’s own website is http://www.canadianwhisky.org and I would highly recommend visiting it.